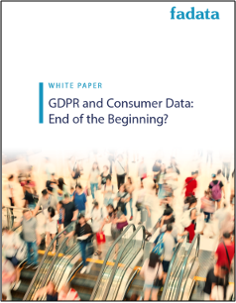 The EU’s General Data Protection Regulation (GDPR), designed to harmonize privacy rules for the digital age, arrived on 25 May 2018 amidst a blizzard of consent forms. In this white paper we argue that, with immediate compliance tasks behind them, insurance executives should ask how operationally responsive their firms will be to new compliance scenarios, especially where warning signs are already evident. Executives should also consider the strategic value of sound data management in their customer engagement strategies.